Here at Choice Home Warranty, we take our work seriously — but we like to have fun while we’re working, too! In our call center, we have a humanitarian theme day, such as sweatpants Monday or crazy hat day. There’s a winner for each theme day, and the winner gets to carry around a championship belt. Plus, Choice Home Warranty makes a donation in their name to their favorite charity! We think it’s a great way to have fun and give back at the same time. 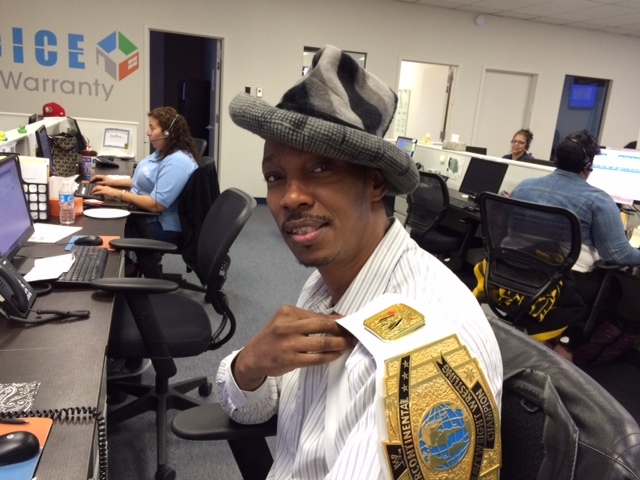 This week, our theme was Crazy Hat Day, and our friendly representative Ray won! As the reigning contest champ, he’ll keep the championship belt until there’s a new winner. Choice Home Warranty has donated $500 in Ray’s name to the Susan G. Komen foundation in honor of his sister Regina, a cancer survivor. We’re excited to give back and support a great cause that’s important to Ray and all of us at Choice Home Warranty. A big congratulations to Ray! If you catch him on the phone or online, be sure to congratulate him on his win. We can’t wait to see what our Choice Home Warranty staff has prepared for our next theme day!